Maya Lin is hopeful about the future, probably more so than most humans are. Her flat delivery of statistics at her lecture on environmental issues at the David Brower Center on Monday wasn’t intended to depress us into throwing up our arms and asking why we even try. Instead, her lessons are informed by a kind of black humor. If we just give up the $102 billion the world spends on chocolate, we would have $10 billion left over after protecting biological diversity, planting trees to sequester carbon, restoring fisheries, protecting cropland soil and restoring rangelands worldwide, she says. Poignancy is artist Maya Lin’s specialty. She’s most famous for her Vietnam War memorial in Washington, D.C. Her other memorial and site-specific designs since her start in 1981 are similarly minimalistic and wise. 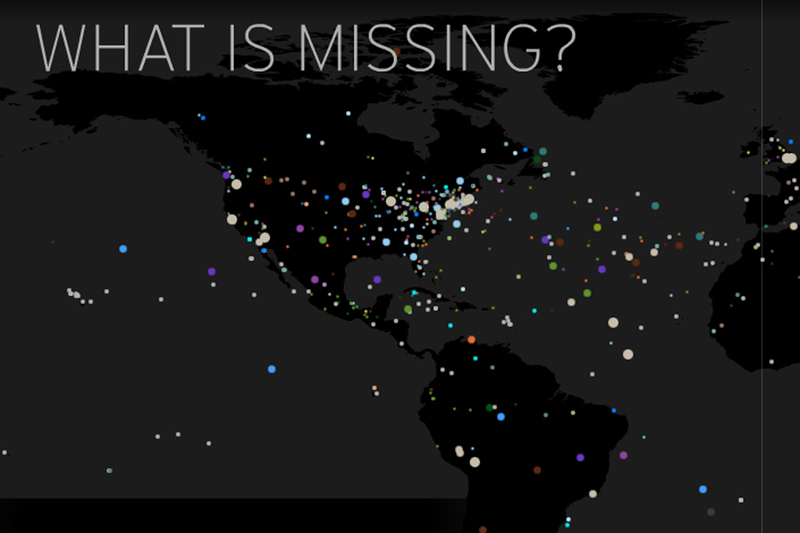 But with her interactive website, “What is Missing,” there’s no skirting around her prime interest: the environment. Hosting an exhibit featuring some of her sculpture pieces in Berkeley along with the webwork, which she calls her “last memorial,” at first seems to absolutely be preaching to the choir. But her lecture Monday as a part of the Art, Technology and Culture Colloquium still had audience members tsk-ing and gasping. Opening her lecture, Lin spoke of the iterations of her work in the past few years. Simple elements like the shape of a wave led to iterations in various scales: from objects that can fit into a gallery to her wave fields that double as land reclamation projects. Her architecture, art and memorials all involve elements of nature and science with their site-specificity or aesthetics. The audience was overwhelmingly old and noticeably lacking students. This could be because the small theater at the center filled up more than half an hour before the show. The Brower Center has a narrow-yet-deep pool of fans, but perhaps this show could bring newcomers to the thoughtful programming of the local resource and teaching center. 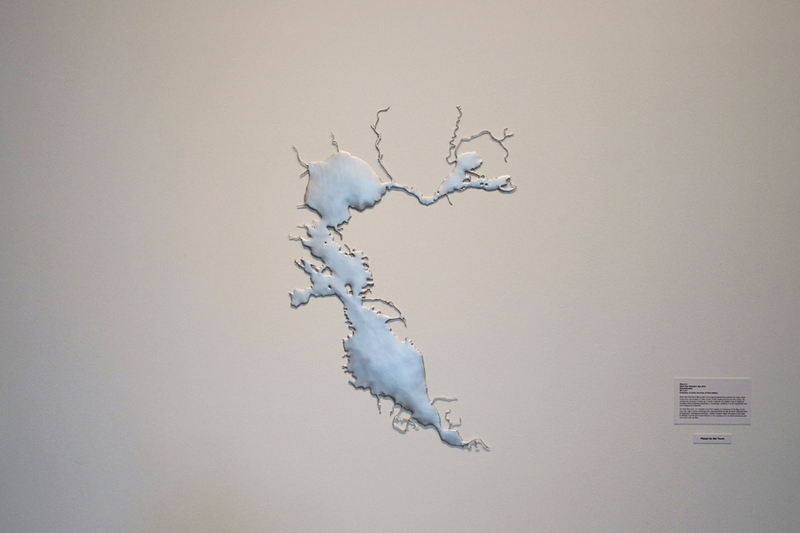 At the Brower Center, there are also the static objects that we associate with artwork such as an abstracted inverse depiction of the bay, in which the water is depicted as the positive space, molded from recycled silver. But the headline project is the webwork, which, because of its functionalism, is described as a memorial. The website project lists historical quotations, facts about endangered species and personal memories. Lin received a grant from Creative Time and Rockefeller Center’s NYC Cultural Innovation Fund to interview people in more than a dozen of countries, collecting testimonies of disappearing environments or species. One person had always played with fireflies growing up. But decades later, no fireflies. These personal memories resonate universally — and Maya Lin wants you to add your own thoughts to her site. She has plans to redo the site in HTML rather than Flash to make it even more accessible. This project is so multifaceted because facts work on some of us, personal stories appeal to others, and video clips of extinct baby animals make others genuinely feel the urgency of the situation. The website documents these tidbits in a kind of genomic manner, so you can go down “wormholes” as Lin calls it. You can easily get lost in the website, jumping back and forth from past, present and future. Environmental art projects are trendy, popular, even. We saw a 3,000-pound ice sculpture titled “Dawn of Anthropocene” by the duo LigoranoReese at the People’s Climate March a couple of weeks ago, spelling out “The Future” and melting throughout the day. It’s simple, which is important for public, social practice artworks. Lin didn’t win the annual “Art/Act” award because she is just good at gathering facts — though she is. Raising awareness is the first step, which is where many protest or social-change artists plateau. Having an aesthetic hook to capture an audience and change that audience’s perspective enough for them to keep thinking about that issue after leaving the Brower Center enough to want to participate — that is what Maya Lin is doing. She maintains that she is an optimist. Lin says that nature is more resilient than we think, we just never think to give it a break to heal.